Uranus is quite antithetical to Saturn. Saturn represents the established, orthodox principles of living that place restrictions on the thoughts and actions of it subjects and warn them against their violation with stringent punishment. This kind of strictness inhibits the fundamental right to liberty in thought and action. This attitude makes a person stale, static, insipid, backward looking and dull. It prevents experimentation and ultimately the evolution of man. Uranus’s subjects are adventurous, enterprising, youthful minds always bubbling with new, almost shocking ideas that generally unhinge the people with faith in conventional wisdom. Quite often, Uranus subjects, themselves are surprised by the boldness and unconventionality of their thoughts and actions. Uranus, on the other hand, is a rebel, a heretic that wallows in the flagrant breakage of the orthodox social beliefs, customs, traditions and conventions. Uranus subjects loathe walking on the age-old, oft- beaten paths. As such, they are aware of the hurdles that they may have to encounter and do not hesitate to take new risks. A fundamental difference between the Saturn and Uranus is that while the former fosters dullness and blind pursuit, the later is a votary of wakeful, enlightened and intelligent approach to the burning issues of life. Uranus subjects therefore, keep the windows of their heart and brain open so that fresh winds come in with new ideas. .
Uranus subjects are highly individualistic, restless, uncompromising, heretic almost anarchist souls. 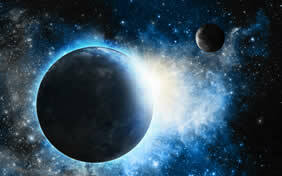 You cannot expect Uranus subjects to blindly follow their teachers, parents, elders or gurus. Words such as restrictions and discipline carry no meaning for them. Uranus is known as the rebel planet and its subjects are fiercely independent. They are ardent votaries of the fundamental human rights. They believe in exceptions to the rules and also that rules are meant to be violated. They do what they think is right for them and do not fear the consequences of their actions. They are probably the true karma yogis in this sense. All the path-breaking, revolutionary inventions and discoveries in various areas of science and technology or space explorations can be traced to Uranus effect. Uranus natives are quite often highly original and called eccentric, maverick or wild cards in the entire zodiac system. You may often see them going “off the tangent”. Their actions, sometimes, land them up in precipitous and disastrous situations. Uranus subjects become accustomed to encountering ups and downs in their life, but they keep moving on unperturbed and unshaken by them. They are highly sensitive, free-thinking and intuitive people, known for brilliant strokes of intelligence. They are always bursting with curiosity and thirst for knowledge. The modern age or the New Age is the age of Uranus. Its subjects are taking keen interest in occult, paranormal and psychic phenomena. They experiment with spiritualism, telepathy, past lives, existence of spirits or souls, secrets of before and after-life and try to rationalize and integrate them with the modern science so that they can be practiced with open mind without any fear. Uranus governs Aquarius and is the lord of the eleventh house.